Charging used to mean not much more than a standard outlet, but things have come a long way. As technology has grown, so has our need for more advanced, convenient, and versatile charging solutions. In today’s post, we’re sharing a list of some of the most innovative charging options currently on the market. From wireless chargers to outdoor charging stations, we’ve got a solution for every need and location. All of the options below are products of Legrand. 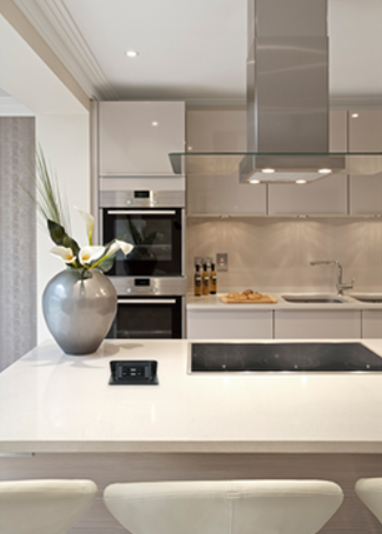 We are proud to rep Legrand not only for the quality of their products but also for their innovation, which keeps them consistently at the top of the industry. Simple, yet effective. 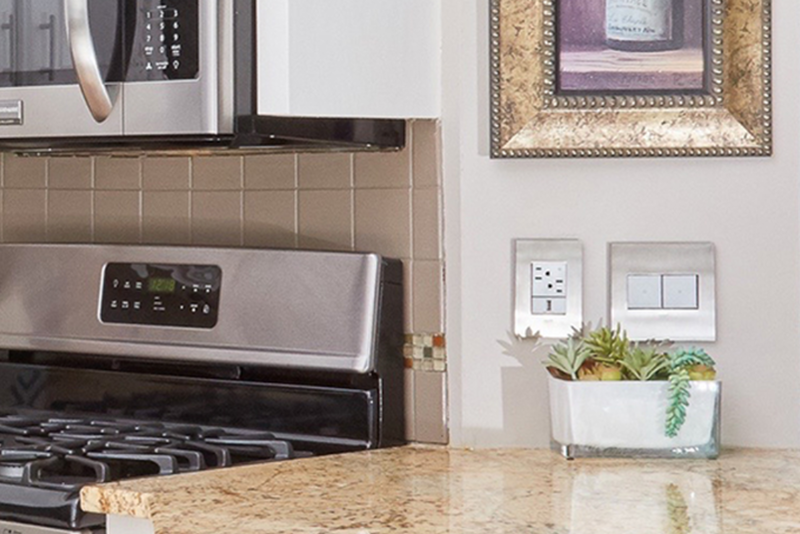 The USB outlets in Legrand’s adorne and radiant collections allow you to charge your devices without a bulky plug and can fit up to 4 outlets in a 1-gang plate or combine USB outlets with standard outlets. Our customers love using them by their bedside and in main areas of the home like the kitchen. These chargers are offered in the original type A USB connector and the new, and ever more popular, type C connector (MacBook’s and newer laptops). 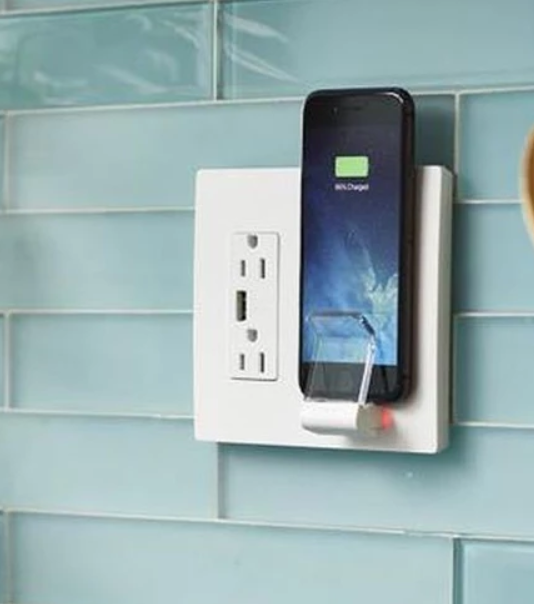 Shop USB outlets from adorne here. Shop USB outlets from radiant here. No cords? No problem. The new wireless charger from the radiant collection is a total charging game changer. With no special wiring needed, it’s super simple to install and provides a clutter free way to charge your phone. Any phone that works with QI wireless charging is a go, including the new iPhone and most android devices. Shop the wireless charger here. The sleek, modern design and functionality of Legrand’s furniture power centres make it ideal for both residential and commercial use. Install it into headboards, desks, and conference tables for stylish convenience. While these are typically more common in public and commercial spaces, such as hotels and offices, they are becoming more and more popular for homes. If you want to elevate the style of your furniture power, you’ll love the line from the adorne collection. Rather than just adding functionality, the adorne furniture power makes a statement and adds to the décor. Shop adorne furniture power here. Shop radiant furniture power here. 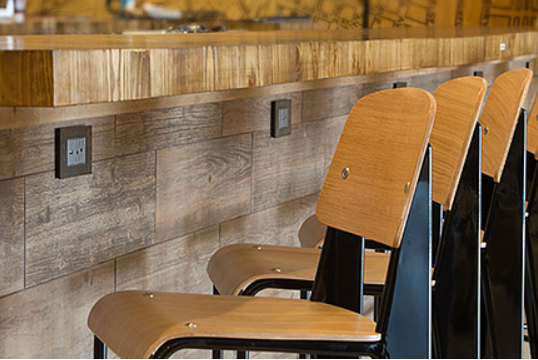 Similar to the furniture power centres, the deQuorum flip up table box can be built into your surfaces and is great in kitchen counter tops and desks. It lies flush with the surface when not in use and pops open when you’re ready to use it. 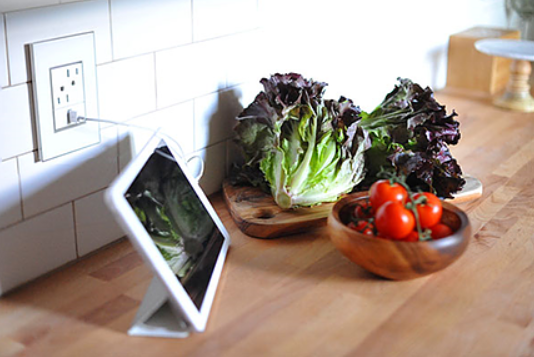 Not only is this a cool feature, but it’s also a safety precaution, especially in kitchens. By keeping the cords from your kitchen appliances on your counter tops and out of the reach of children’s hands, you’ll avoid some potentially dangerous situations. Shop the deQuorum flip up table box here. 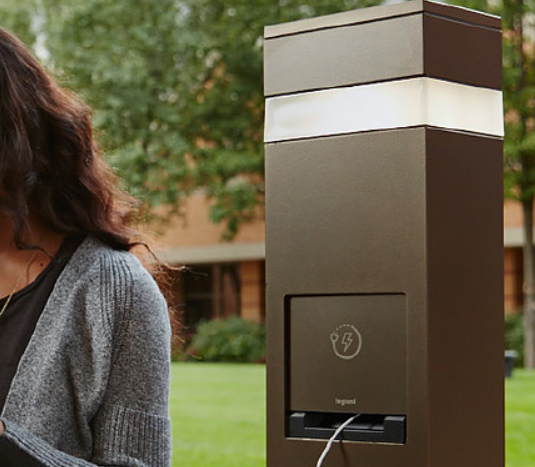 We were really excited about Legrand’s new outdoor charging stations, which come in four different styles. These sleek pedestals include a combination of standard power outlets, USB outlets, and LED lights to illuminate pathways at night. These are perfect for any public space and are especially popular on university campuses, outside of public libraries, and in city parks. They’re also a great addition to restaurant patios and apartment terraces. Really, there’s no place they aren’t a good idea! Check out the outdoor charging stations here. This one isn’t actually a charging unit, but it’s so cool that we had to include it in the list (not to mention it’s the only thing of its kind on the market!). Make the most of your outdoor space with an Outdoor Ground Box, the first UL-listed while in use in-ground box that provides permanent ground-level power. The box delivers power, data, and AV capabilities to your outdoor space and lies flush with the ground. These are great for anywhere you need an outdoor power source. Perfect for parks, public spaces, city squares, promenades, and more. 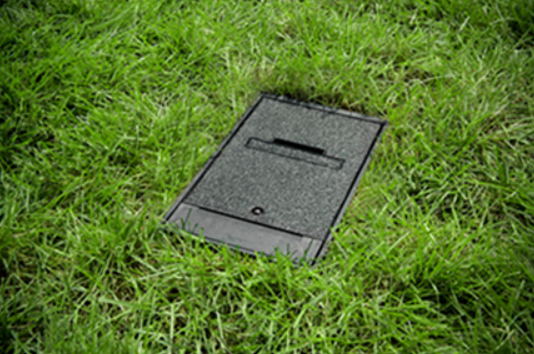 Check out the outdoor ground boxes here.